A contender for the Newbery Award, Margi Preus’ West of the Moon channels the enchantment of a Norwegian fairy tale of a white bear who turns into a prince in her story of a Norwegian girl who finds her way to the New World. Unfortunately, the old goatherd who bargains for orphaned thirteen year old Astri is no prince, and the poor girl finds herself dreaming of freedom while shoveling out dung and keeping house among the goats. With a mix of historical background and magical story telling, Preus weaves a tale for young readers that manages to inform while capturing the imagination. When Astri is faced with marriage to the old goatherd, she orchestrates a daring escape, rescues her little sister from the cruel stepmother, and sails to America for a new life. A real girl, Astri questions her own worth, as she is forced to lie and cheat to protect herself and her future, but her inner star shines through, and the reader knows she will be a success as she grows into her own. 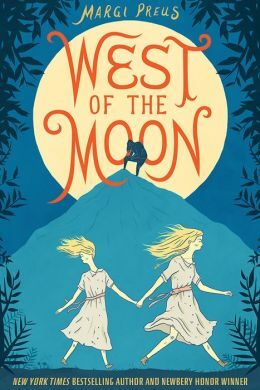 Entertaining, informative, and a pleasure to read – West of the Moon should at least be on the short list for next year’s awards. For me, it was a welcome respite.